If you have manage multiple databases in your work, there would have been occasions where you needed to run the same set of queries against multiple databases or database servers. The regular and tedious way to do this would have been to connect to each database/server, run your query, log the results, and move on to the next database/server. SQL Multi Select removes the tedium of the above process. Basically, you set up a list of all the servers you manage in your environment. You then group these servers by function (each server can exist in multiple groups). For example, you may have a group containing just your development servers, another group for your production servers etc. 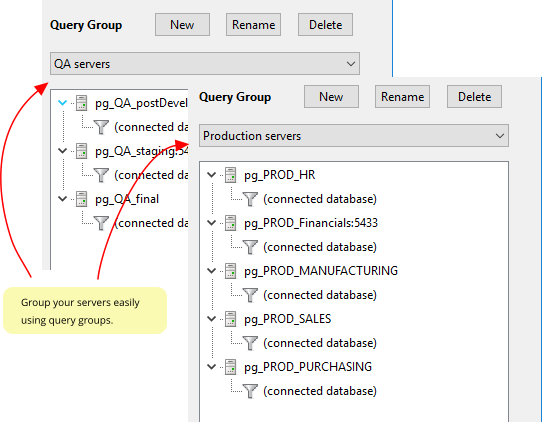 Now, you can run a query, or a set of queries, against these server groups. The results of these queries are consolidated in a single result set, so you can easily compare the results across different servers. 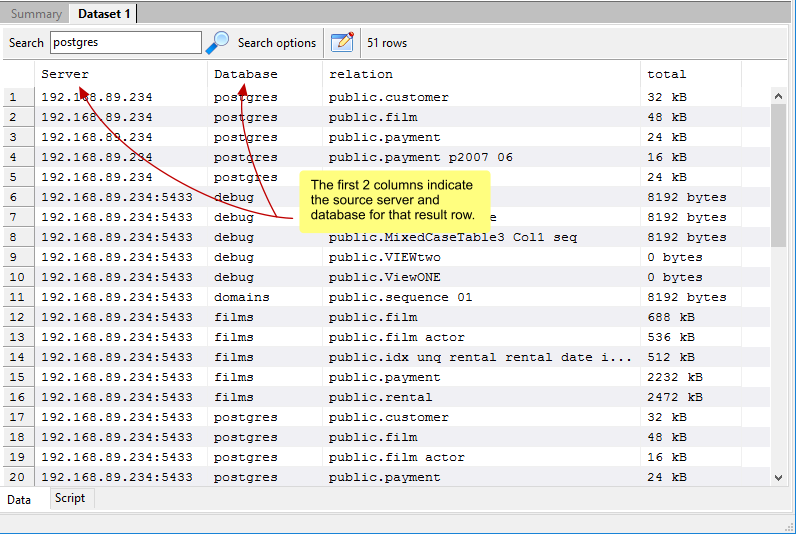 For ad-hoc queries, this makes it easy to run the same query on multiple database/servers. You may also have queries you run repeatedly e.g. queries to check database sizes, server statuses etc. You can use the SQL Multi Select command line interface (available only in the Standard and Professional editions) to run these queries in a scheduled job, and have the results saved in text files or in a SQLite database. SQL Multi Select supports PostgreSQL, MySQL, and Oracle databases. All server groups will contain servers of the same type, so for example, you cannot mix MySQL and Oracle servers in the same query group. This entry was posted in SQL Multi Select and tagged SQL Multi Select on April 4, 2017 by bloggyadmin.